Dragons back row Ollie Griffiths is out for the rest of the season after rupturing a bicep. 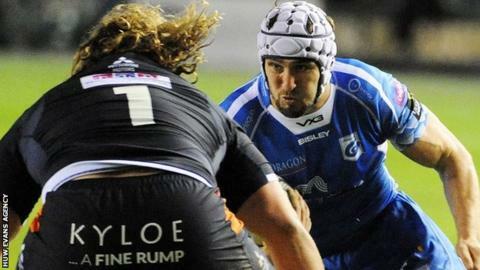 The 23-year-old Wales international suffered the injury during Dragons' 57-7 defeat by Benetton in Italy. Griffiths will require surgery and joins Nic Cudd, Ashton Hewitt, James Sheekey, Aaron Jarvis and Arwel Robson as a long term absentee. Dragons face Ulster at home on Sunday, 3 March when a defeat would end their hopes of reaching the Pro14 play-offs.